Sometimes detecting the intrusion is the easy part. Sometimes it doesn't help correct the situation at all. 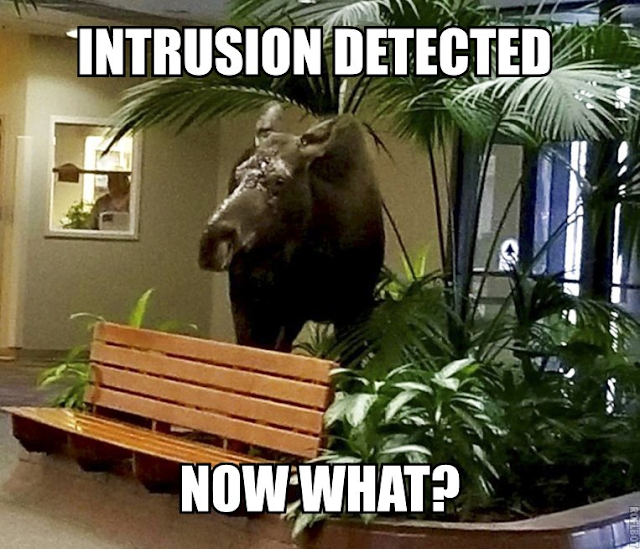 That's what people in an Alaskan hospital discovered when a moose wandered inside. Kinda makes you wonder about intrusion detection systems, doesn't it.